Can you see the cheetahs? Do you sometimes look at a photography book from Africa and marvel at the beautiful images of wild animals? And you probably think: wow, shooting all those animals in the wild must be such an adventure, and a very romantic experience. Well, the reality is often quite different but nobody is really going to tell you that. In any case, behind every such a book they are actually many years of hard work, long waits in discomfort of the wilderness, and loads of knowledge about the animals and photographic skills are also needed. Unfortunately, these days the last remaining bits of unspoilt nature are being flooded with hordes of tourist and photographers. 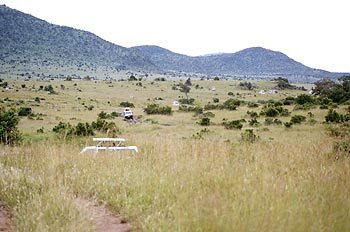 National parks of southern or eastern Africa (like the famous Kruger, or Masai Mara NP) are a good example. 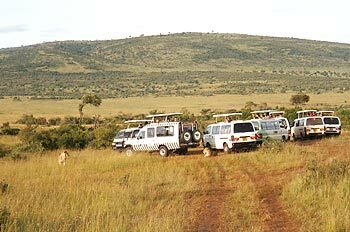 In Masai Mara, even in a low season, we saw that pretty much every lion was surrounded by cars from morning until evening. 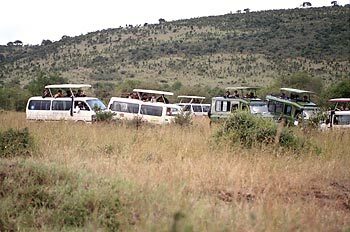 Also, safari drivers call each other over the radio when they find any of the cats, because that's what the tourists only care about (it's actually quite hard to take a good picture of an impala, by the way). 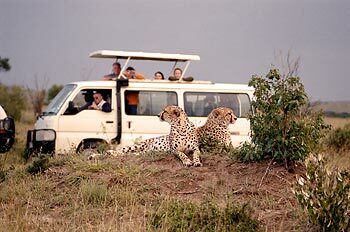 In Kruger, where visitors can drive their own cars, everyone tries to get into the best viewing position often showing little respect towards the others, not to mention the animals. Everyone would like to get the dramatic shots of lions, but the the problem is, all the lions are already resting or sleeping after the night hunt! But the tourist-photographer does not have the time or patience to wait for a lion to wake up and raise his head; so they do not hesitate to shout, whistle or slam the car door. Sad indeed, but we have witnessed this kind of behaviour every day, and when we objected they often become rude to us (not the lions!). How does all this relate to photographing? It seems to me that in the today's boom of digital cameras, every single tourist thinks he is at least a National Geographic photographer. It looks like that the main reason of the visit to the national parks is not to enjoy the beauty of nature or to learn something about the animals, but to get pictures that everyone at home would envy. The resulting photos are usually not very good (bad light, wrong angle, etc ...) but nobody seems to care, they will serve the purpose – to show off at home. 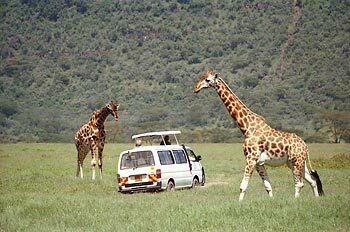 It is true that animals in the most popular parks are used to the cars and it appeares that they are not particularly bothered by the tourist behaviour. But it is really hard to understand how big the impact will be in the long run. Anyway, I am convinced that the purpose of national parks should be - apart from saving and protecting the last biodiversity left - to inspire the people to love and respect nature. And instead of clicking the camera like crazy, wouldn't be better to experience the unique, unforgetable moment, and later maybe, buy a book made by proffessionals? I would like to thank here our excellent driver and guide from Nairobi Cyrus who tought us so much about the nature of Masai Mara and Nakuru national parks. Also for his great respect for animals.